I received this email from an apparent Warren supporter today. I thought I would respond to it here so anyone else that has the same questions can have them answered as well. Why aren't you asking Scott Brown what information he has that would deny Warren her ethnic heritage? His one and only argument is that "she doesn't look Indian". What a ridiculous and racist statement that is. How many of you have red faces and black hair and hooked noses? Apparently, thats what a Native American looks like to Scott Brown. Don't you know that people who have Native American lineage come in all colors, shapes and sizes? You have no credibility and I have serious doubts about your own ethnic heritage because you should know that its virtually impossible to document Native American blood lines. The fact that you don't seem to know this makes me question your real agenda. You are on the wrong side of this issue. 1. Why aren't you asking Scott Brown what information he has that would deny Warren her ethnic heritage? His one and only argument is that "she doesn't look Indian". What a ridiculous and racist statement that is. When I found the death certificate of Aunt Bea and saw that Elizabeth Warren was the informant who said her aunt was white, I posted it to my blog. Very quickly afterward, a reporter called me for a statement. When I watched the news online later, Scott Brown was also asked about it and he said he was aware of the death certificate. That led me to believe his campaign workers have been keeping him informed of anything that contradicts the stories Warren has told. When he spoke in the first debate and made the statement that she was clearly not a woman of color, I feel he failed qualify his remark by also stating that she has no proof of ancestry and she is not enrolled with a tribe - two things I would imagine he knows and also used to base his conclusion on. Of course, the comment came off as him being ignorant about Indian identity, but I don't know if that is the case or not. If it was, then hopefully he has learned and can move on. 2. How many of you have red faces and black hair and hooked noses? Apparently, thats what a Native American looks like to Scott Brown. The only one who should have a red face after that comment is you. How racist and stereotypical were you trying to get there? 3. Don't you know that people who have Native American lineage come in all colors, shapes and sizes? Yes, I do. I have never said you could identify a tribal member by looking. If you want to ask Scott Brown this question, ask him, not me. I can't answer for him. His saying something doesn't mean I say it or agree with it. Yes I do. But you support Warren so you don't want to believe I have any. It is the only way you can justify supporting and voting for someone who is an ethnic fraud. The Cherokee Nation says I am Cherokee, so I am. Your thoughts or opinions don't matter on this topic. 6. you should know that its virtually impossible to document Native American blood lines. The fact that you don't seem to know this makes me question your real agenda. What might be true for one Indian nation is not true for all. The Cherokees are one of the best documented groups of people in the United States. 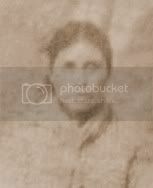 We have over 30 rolls and many more documents, ration lists, muster rolls, claims filed against the government, etc...It is actually very easy to trace Cherokee ancestry, often times easier than white ancestry. The fact you don't seem to know this makes me realize you don't know much about Cherokee history or genealogy. 7. You are on the wrong side of this issue. You assume that because I am against Warren's false claims of Cherokee ancestry that I must be on the side of Brown. That isn't true. 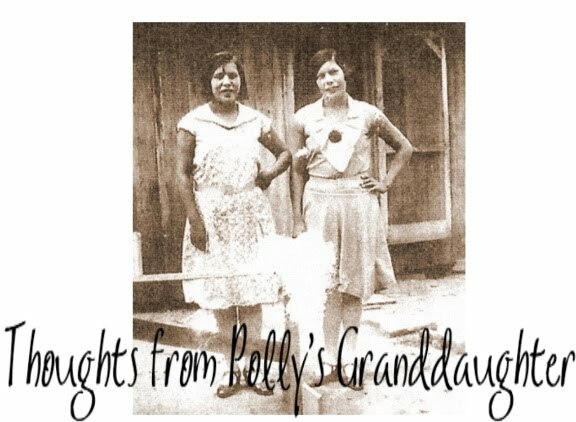 I am on the side of truth about Cherokee history and genealogy. That is not the wrong side. I spoke out chastising both campaigns for their recent behavior. And if they keep it up, I will do it again. I think both campaigns are exploiting Natives and using us as weapons in their battle for the Senate. Excellent post, Twila. It's too bad you have to keep posting the same information every time another Warren supporter comes along, thinking they are the first to confront you with these same tired arguments. Hang in there...the truth will out, even if Warren is elected. One of my favorite sayings is "non illegitimus carborundum" - the intended meaning is "don't let the bastards grind you down"
You've done an excellent job of providing facts and analysis that cannot be refuted. Well done. I am 1/32 Comanche but have red hair and freckles. I have never considered myself native enough to claim anything because my families lives were that of poor white people and not the exceptional bias natives suffer. Warren is just another user and abuser. As a blogger who wrote on this issue, bravo! Well spoken and to the real point. I learned a great deal while researching my pieces, and feel the better for the new knowledge of the Cherokee and Oklahoma.